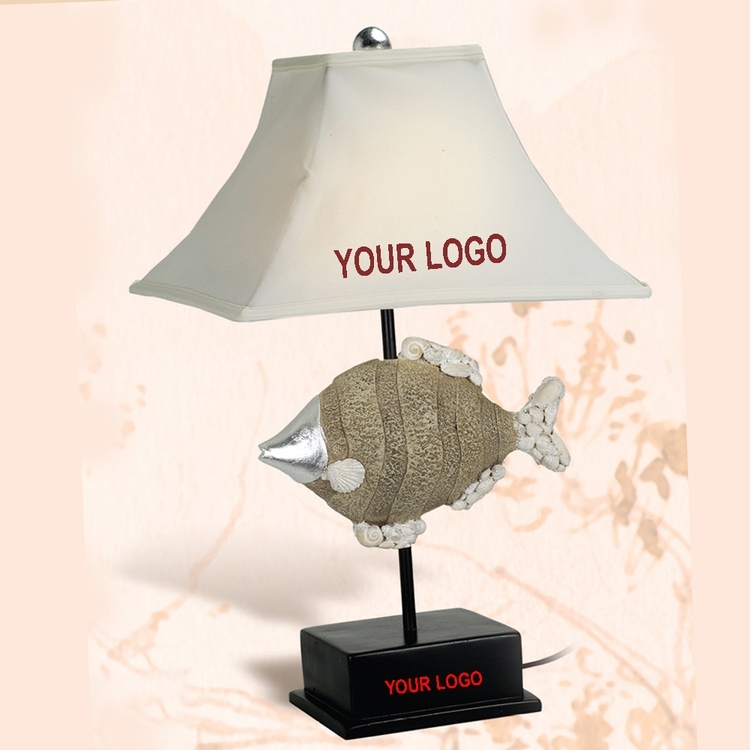 26" High Fish desk lamp with black poly resin base and fish. Fabric shade UL Approved with a 60" long electrical power cable. Your choice to imprint logo on either side of the shade or base. Shade 15" x 15" x 10", Base 7.5" x 6.5" x 3"